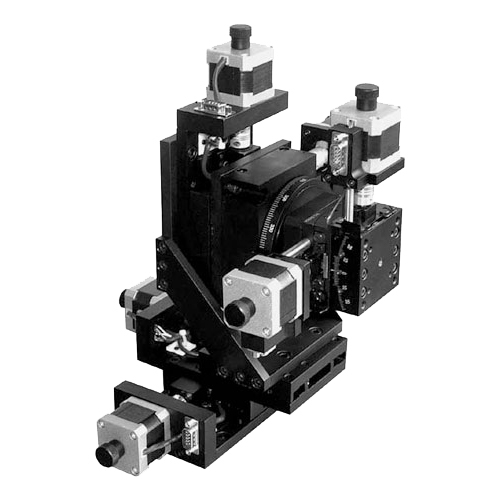 5-axis motorized stage with translation, lifting, rotation and goniometer function. 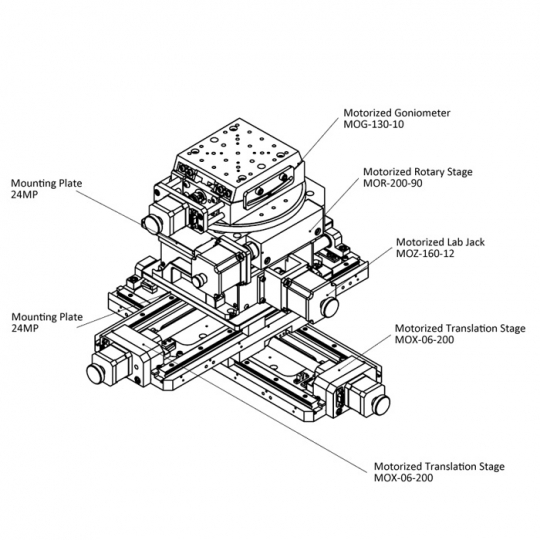 Travel range of X and Y axis stage is from 200mm to 400mm. NEMA 17 and NEMA 23 stepper motors drive and DB9 interface. 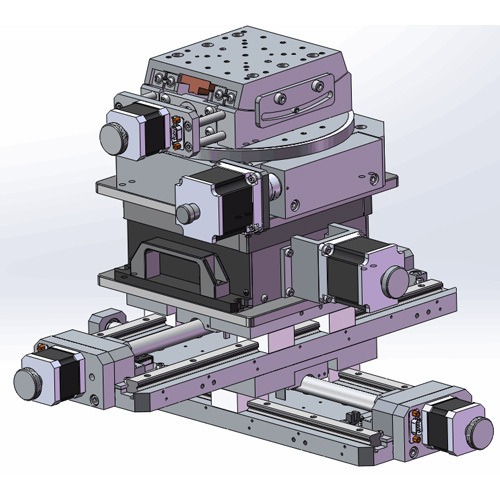 The 5-axis motorized stage is combined by two motorized linear stages, one motorized vertical translation stage, one motorized rotation stage and one motorized goniometer. It provides five degrees of freedom adjustment. By using our motion controller, customer can control the stages automatically.